Lime Tree is part of The Quads accommodation, located on the east side of campus. 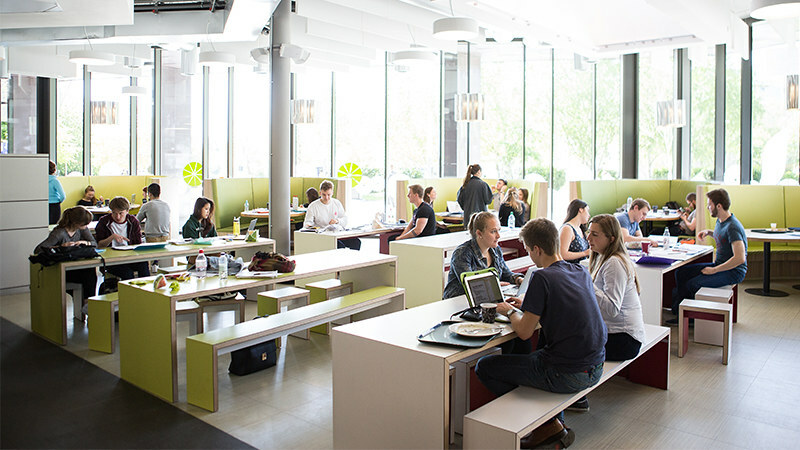 It is a bar, café and food court open to students, staff and visitors. Everyone, including visitors, can use Lime Tree. If you are a student you can pay here using your Eat and Drink credit. Lime Tree serves tea, coffee, beer, cider, wine and soft drinks. The food served includes easy bean grains and toppings, salads, jacket potatoes, smoothies, hot lunches, pizza and pasta. Lime Tree has two water fountains. Lime Tree is on the ground floor, has double-width automatic doors and accessible toilets. Visit AccessAble for detailed information on Lime Tree's accessibility. lime tree will be closed from Friday 19 April to Wednesday 24 April.